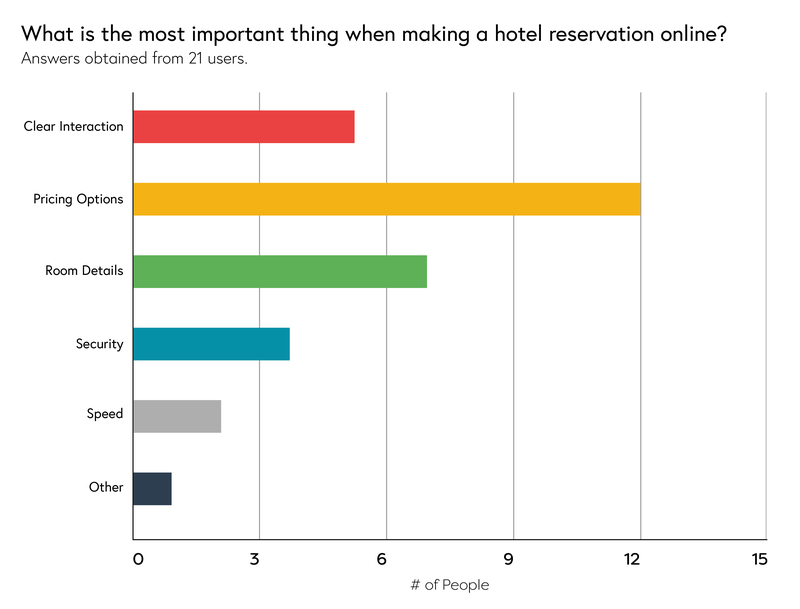 Improve the login and room reservation interaction at a hotel website for 20 - 30 year old customers. 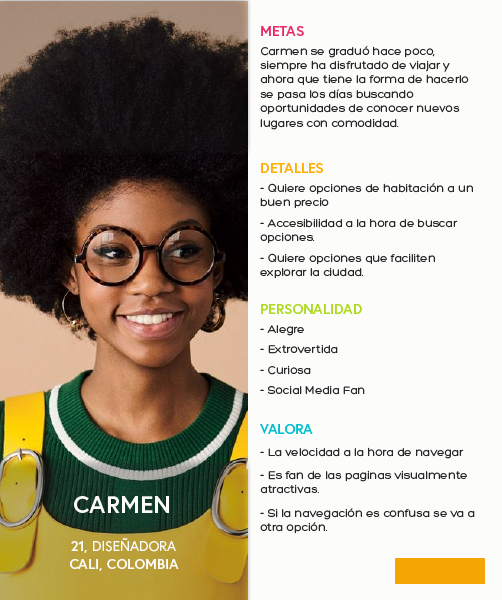 Freelance UX Designer, part of a six person team. 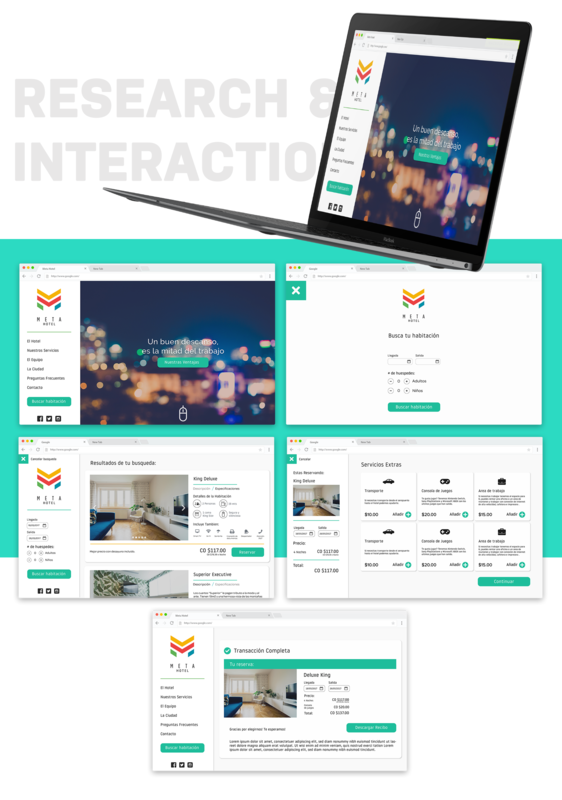 A hotel was going through a complete remodeling process in order to include a more interactive user experience in their rooms and services. Nevertheless their online presence was lacking, their website had a huge drop in engagement after the landing page and people often found making a reservation or purchase difficult. 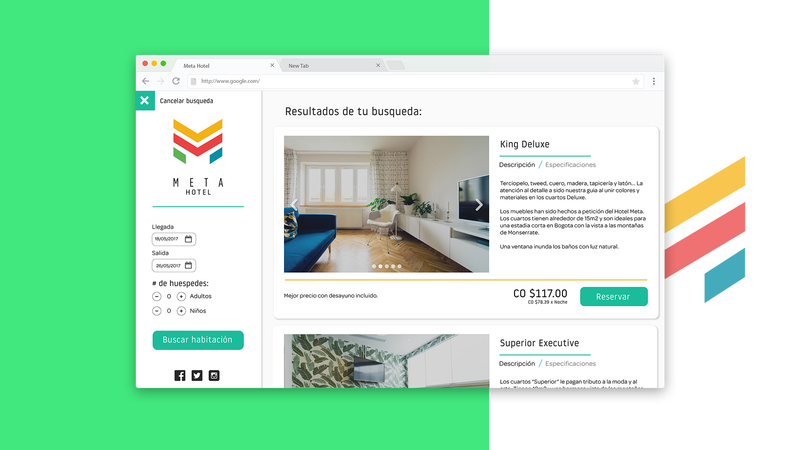 I was asked to make a proposal within a week in order to improve the login interaction and landing page in order to boost engagement and reservations. The hotel main users are young professional and couples between the 20 and 30 years old. I decided to realize a questionnaire in order to get a better understanding of the user needs and pain points during the process. We got some important insights from 21 users for the overall design process. Users didn’t enjoy the long wait times and were dropping off in engagement because of it. Also the current feedback system made users feel uncertain about their actions due to the fact they didn’t know in which part of the process they were currently in. Using this data we created two proto personas to help guide the design process. The users found some issues on the landing page regarding usability and navigation, the copy was not clear and the interface made the feedback a bit confusing. Nevertheless on later screens the users didn’t find any issues navigating the new interface and the feedback helped them remain deciding through the buying process. Overall the users found the solution to be above the market expectations. Did you enjoy looking at this project? Here are some other projects you might enjoy as well. Online sales platform for Peipeile dough outside of China. UI and UX redesign of Ticket Sauce app. Udacity Bussiness Analyst's Capstone Project.